Widgets were originally designed to provide a simple and easy to use way of giving design and structure control of the WordPress Theme. This theme contains 4 default sidebars. 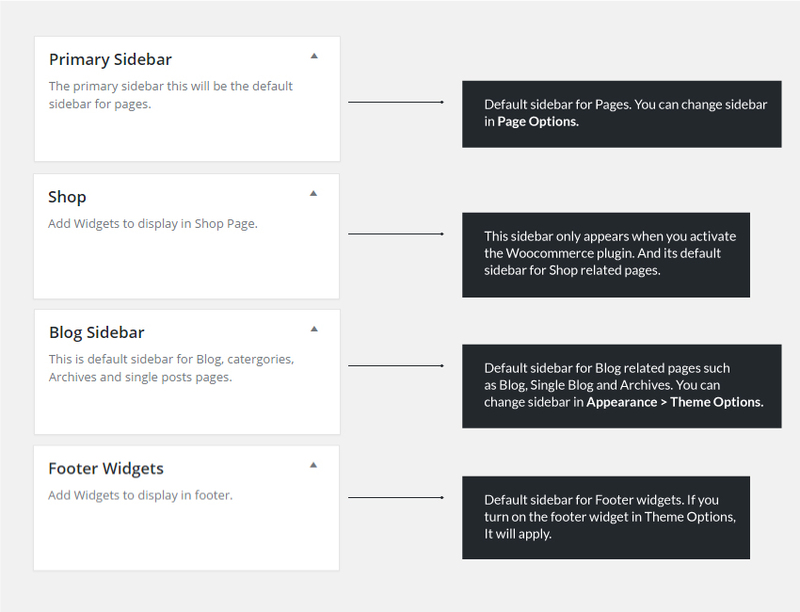 For access those sidebar, You can do so by simply navigating to the Appearance > Widgets. Primary Sidebar: This is default sidebar for pages. Blog Sidebar: This is default sidebar for blog related pages such as Blog, Single Blog, Archives. 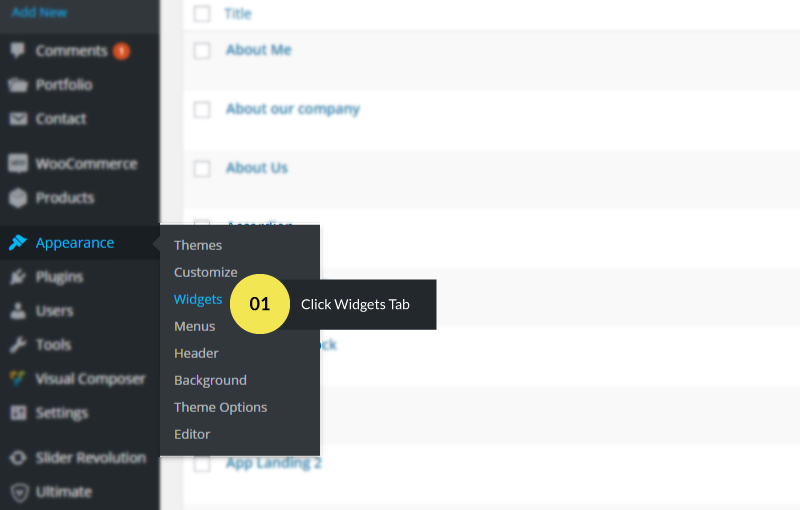 Footer Widget: This is default sidebar for footer. Shop: This is default sidebar for woocommerce pages.